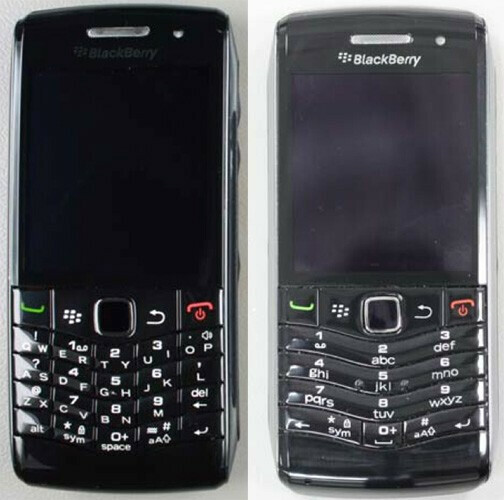 It won't be too long now before consumers can get their fingers on either of the BlackBerry Pearl 3G's QWERTY keyboard options. Getting closer to its final stage, both variants of the BlackBerry Pearl 3G recently paid a visit to the FCC which are found to support WCDMA Bands II and V – meaning that it's a go with the networks on Bell, TELUS, Rogers, and AT&T. Even though we've begun to see the pre-order process happening for the BlackBerry Pearl 3G for TELUS, it's not definite what carriers plan to offer the quaint standard numeric keypad variant. Still, there is probably going to be a market for either device as they bridge the gap for users who are traditionally comfortable with basic handsets and the wealth of features found on smartphones. Now that it has finally made an appearance over at the FCC, it shouldn't be too long now before we see these handsets grace the lineup of certain wireless carriers. wait... wasn't there supposed to be an individual keyed qwerty version of the pearl? I dunno, but those would be some really small keys!